Introduction Last week’s column addressed two of five topics singled out earlier for comment in order to highlight their significance from an economic perspective; namely 1) Government take/developmental benefits/economic profit; and 2) accounting for costs. Introduction Today’s column along with the next portrays selected aspects of my recent discussion of the fiscal regime in Guyana’s 2016 Production Sharing Agreement (PSA), from the perspective of basic economic principles. Introduction Today’s column expands on last week’s discussion of the government take, as it relates to Guyana’s 2016, Production Sharing Agreement (PSA). Rational incentive Based on the economics Nobel Prize winning theory of “incomplete markets”, my previous column posited that, the Parties to Guyana’s 2016 PSA have a rational incentive to re-negotiate the contract, if underlying conditions of the country’s petroleum sector drastically change. Introduction Last week’s column, sought to reinforce the critical importance of two features of the fiscal regime embedded in Guyana’s 2016 Production Sharing Agreement (PSA). 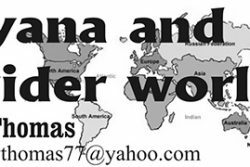 Introduction Last Sunday’s column introduced two far-reaching observations concerning Guyana’s 2016, Production Sharing Agreement (PSA). Introduction The observation was made much earlier in the series and repeated for emphasis last week: Guyana’s present petroleum fiscal regime encompasses both 1) its basic constitutional, economic, financial, and accounting legislation, as well as 2) the specific terms and conditions enshrined in the 2016 Production Sharing Agreement (PSA). Introduction Last week’s column identified several of the ‘known unknowns’, as these are termed in strategic management. Introduction As far as I can determine, a standard formulation of Guyana’s fiscal regime for its petroleum sector would describe this as ‘The Terms and Conditions that are applied to both the Owner (State) and Contractor (Exxon and its partners) for conducting their business within an integrated framework; from exploration activities, right through the production chain (upstream to downstream), as well as trading’. Introduction Last week’s column established that the mechanism of ring-fencing for determining recoverable cost is not, unambiguously, to Guyana’s benefit. Introduction In the absence of the explicit ring-fencing of costs, the Guyana 2016 Production Sharing Agreement (2016) has provoked unqualified and perhaps even one-sided condemnation. Introduction Following on several readers’ queries, perhaps I should indicate that I am by no means singular when treating cost recovery as a central component of the fiscal regime of petroleum producing countries. Introduction: Catalogue The catalogue of desirable features energy economists promote for effective PSAs are that 1) ownership of the petroleum wealth should remain within the domain of the country in which it is discovered; 2) the State/Principal should maintain managerial control of this wealth, but 3) the Contractor/Agent (in Guyana’s case Exxon and its Partners) should maintain operational control of contract-assigned petroleum activities. 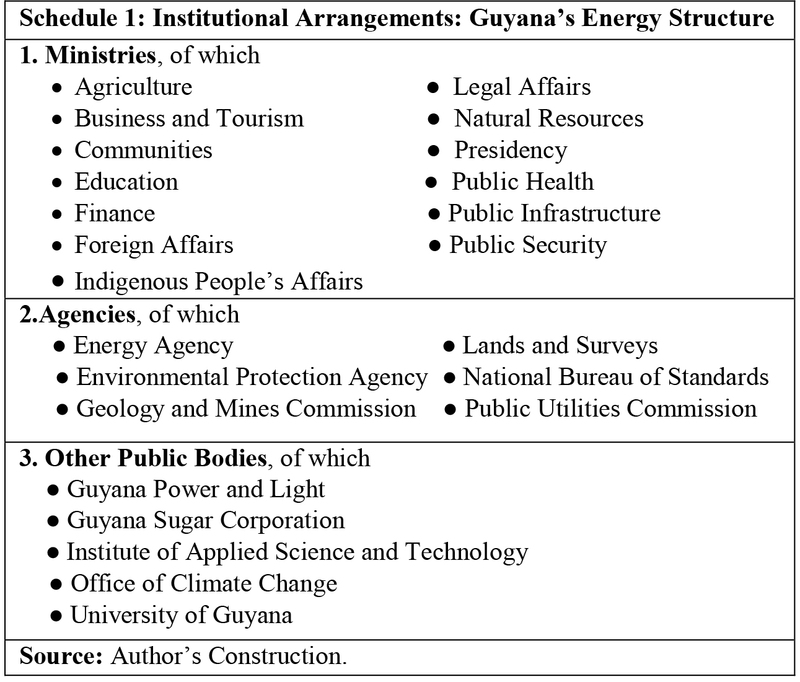 Introduction Last Sunday’s column introduced a simple basic ‘Setting’ (as energy analysts label it) or more commonly, analytical framework drawn from energy economics, under which the Guyana 2016 Production Sharing Agreement (PSA) will be appraised in coming columns. Introduction Last week’s column highlighted my conviction that, even though there are model petroleum contracts, there are no perfect ones. Guyana’s PSA: Is the Indonesian gross split production variant a magic bullet? Despite last week’s publication of the Guyana 2016 Production Sharing Agreement (PSA/PSC); today’s column wraps up my evaluation of model PSAs/PSCs. Introduction From their very inception, oil agreements/contracts have embodied dynamic processes between states, as sovereign owners or guarantors/regulators of rights to a country’s petroleum wealth, and individuals/oil-companies that contract to develop this wealth. Introduction Production sharing agreements or contracts (PSAs), have been, from the time of their earliest introduction to the oil and gas sector, subjected to in-depth critical analyses and/or evaluations from economic, legal, and institutional perspectives. Introduction At the time of writing this column media reports indicate that a signature bonus of US$18 million has been paid to the Government of Guyana (GoG) by Exxon and its partners. Introduction Last week’s column welcomed the coming release of Guyana’s petroleum contracts. It also identified that, based on the standard industry classification, there are four principal types of such contracts. Better late than never or too little too late? 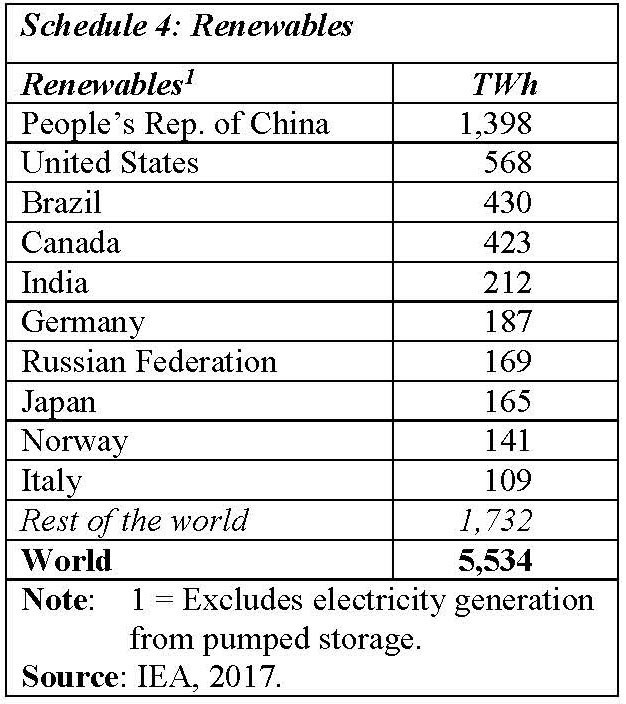 Introduction Last week’s column argued that, the best use of Guyana’s oil wealth would be strategic spending on, and through, a dedicated Ministry of Renewable Energy. Introduction Last week’s column had raised an outside-the-box consideration, which is that Guyana’s best use of its coming petroleum benefits/revenues might well lie in their utilization as strategic spending on renewable energy. Introduction As indicated last week, today’s column is designed principally to pronounce on Decision Rule 4. Decision Rule 3 Last week’s column continued the exploration of Guyana’s natural gas prospects, both “associated with/and not associated with” its recent substantial petroleum finds. 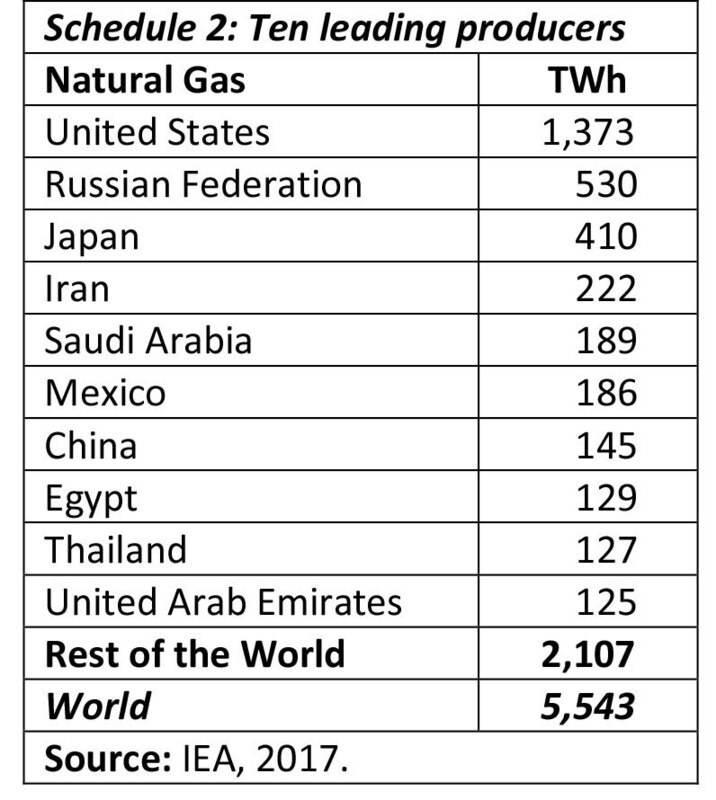 What Next: More on the Natural Gas Option! 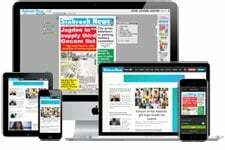 Introduction Last week’s column had raised the conundrum: What next? Given that, I am advising against state investment in oil refining therefore, what other major options I am recommending for realizing the substantial potential of Guyana’s recent petroleum finds. What Next: If State-owned Oil Refinery is Not Economically Justified? Introduction As matters presently stand, and in order to be precise as well as taking into account the discussion concerning a Guyana state-owned oil refinery has lasted for several weeks (since August 20, 2017) it is perhaps prudent that today’s column starts by summarizing my two recommendations. Today’s column concludes my discussion of Decision Rule 2, which posits: there is no overall economic justification for a Guyana state-owned oil refinery (of approximately 100,000 barrels/day). 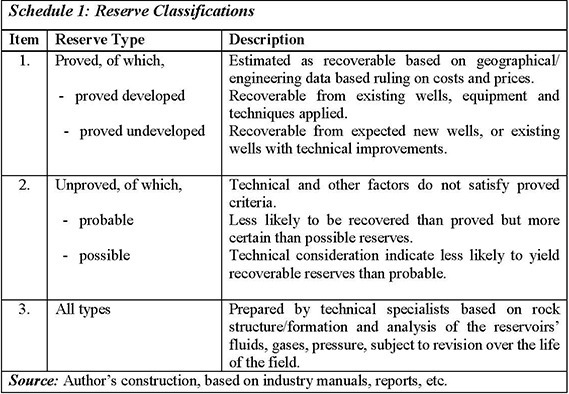 Introduction Today’s column, and the next, continues to evaluate the feasibility of a Guyana state-owned oil refinery, promoted by many as the leading edge of a local content requirements (LCRs) regime aimed at maximizing downstream domestic value-added in the coming petroleum sector. 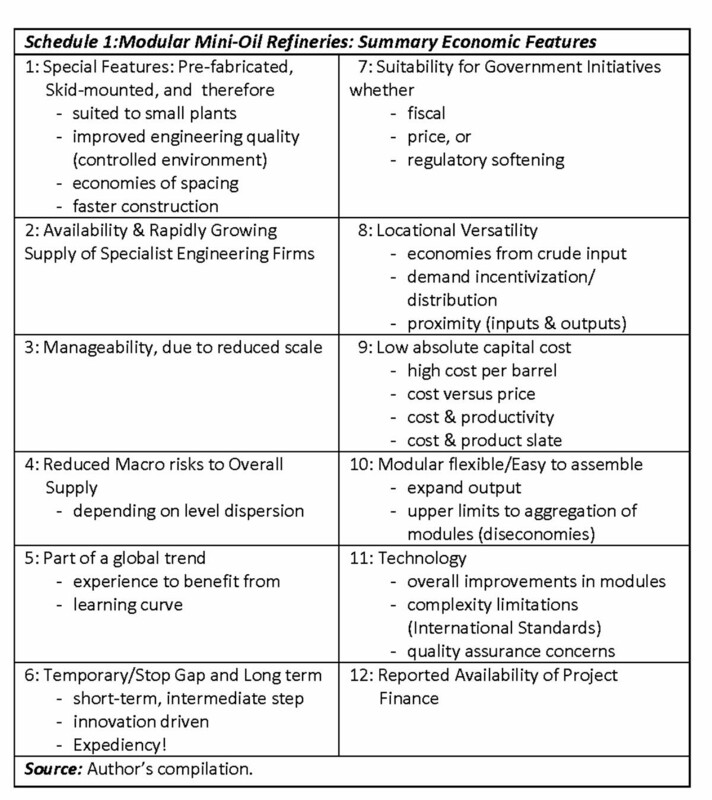 Introduction In last week’s column I sought to recall, for the benefit of readers, several key observations and conclusions that were drawn from my earlier review of refinery economics in order to support Decision Rule 2. 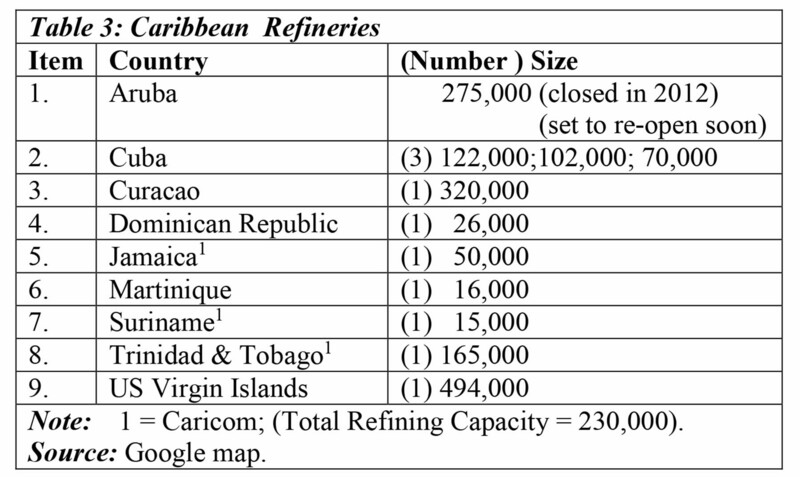 Introduction Last week’s column focused on reviewing the results of Pedro Haas’ feasibility study for a state-owned oil refinery, sponsored by the Ministry Natural Resources (MoNR). Introduction Last week’s column was aimed at walking readers who are unfamiliar with economic feasibility studies, through the PowerPoint presentation by Pedro Haas of Hartree Partners, on the feasibility study for a state-owned Guyana refinery. 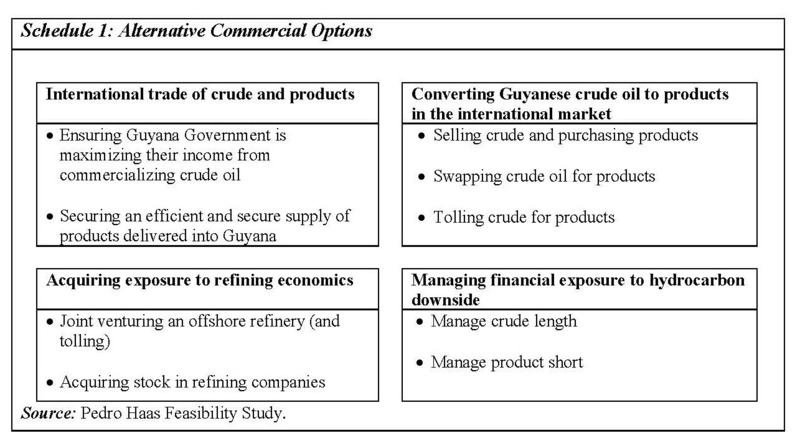 Introduction Today’s column aims at walking readers through the Guyana Refinery Study, presented in a talk by Pedro Haas of Hartree Partners, in May this year. Introduction Last Sunday’s column (September 3) marked one year of uninterrupted weekly articles addressing the topic: ‘Guyana in the coming time of its oil and gas industry, circa 2020’. Introduction: Proviso It is worth repeating: my two previous columns had sought to make it abundantly clear that if a local oil refinery is established, which is wholly owned, managed and operationalized, either separately, or through a partnership (or some other joint arrangement), involving only 1) foreign investors (whether private, state, or some combination thereof), or 2) domestic private investors, this would be acceptable in my judgement, subject to one important proviso or caveat. Introduction – Re-cap As posited last week, it is my view that the true essence of an oil refinery that is deemed local, lies in its type (form) of ownership, management, and operationalized control. Introduction As indicated last week, today’s column initiates a presentation in the coming weeks, of my considered view on the efficacy of Guyana establishing a local oil refinery, in order to exhaust successfully the potential benefits of its recent oil and gas discoveries. Introduction As indicated last week, today’s column aims to update my earlier (October 2016) assessment of Guyana’s petroleum discovery. 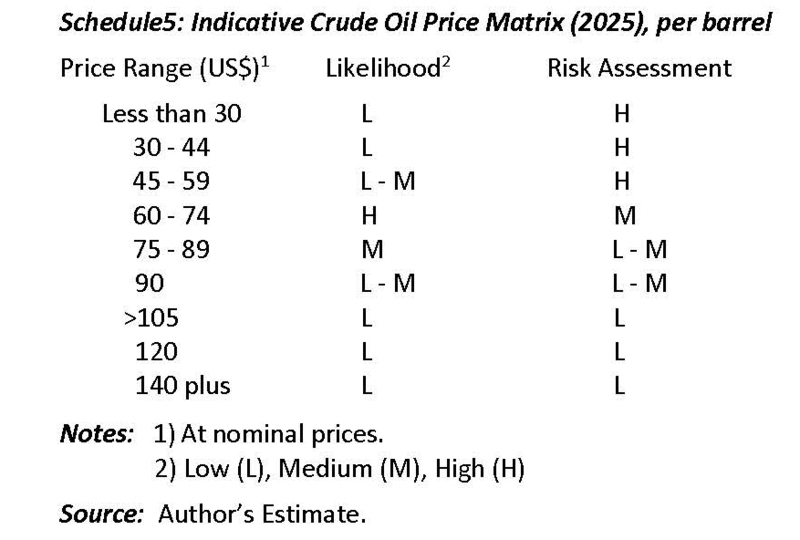 Introduction Today’s column revisits my previous estimate of the likely crude oil price at the time Guyana’s first oil is anticipated to be fully on-stream (2025). 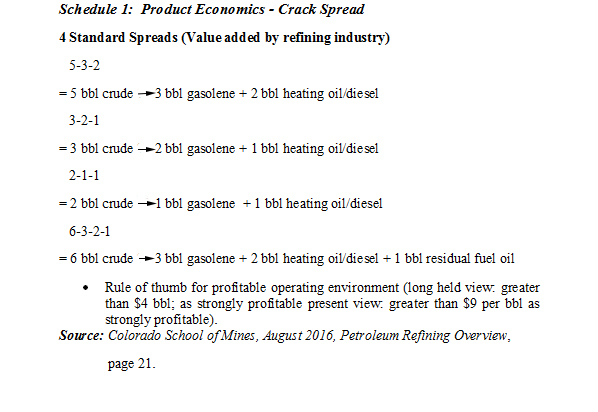 Today’s column concludes the coverage on the economic characteristics of mini-oil refineries, started last week. Today’s column wraps up the discussion started last week on the general economic characteristics of oil refineries. Introduction Today’s column addresses several economic factors which are key to the oil refinery business. 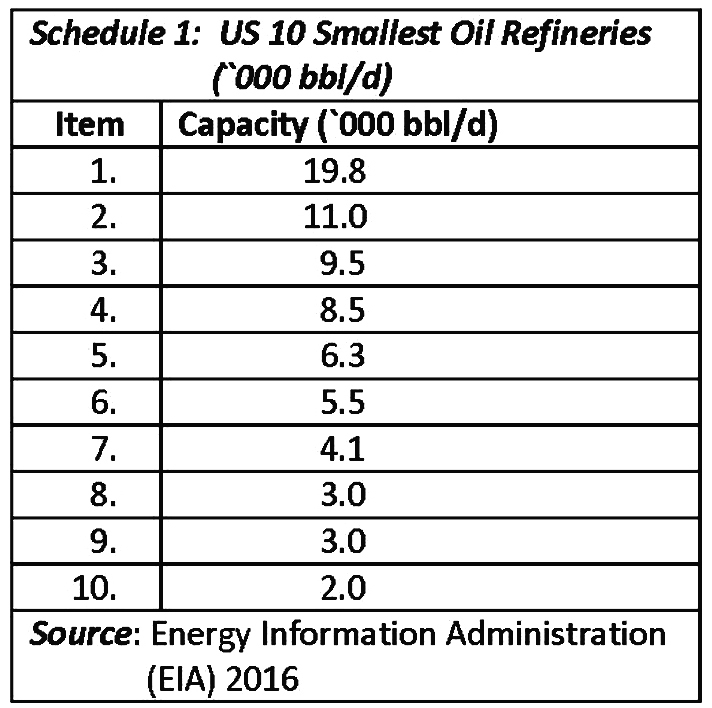 Introduction This week’s column and the next will attempt to evaluate the pros and cons of small mini-oil refineries. 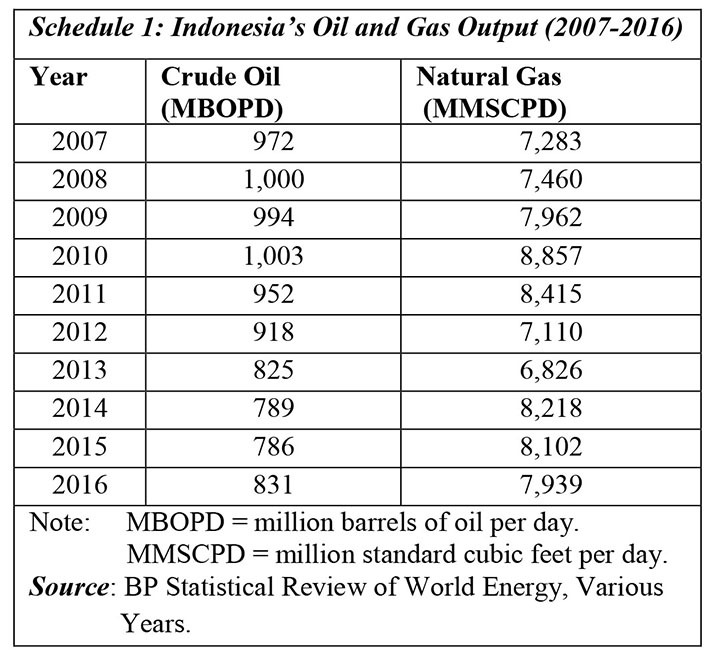 Introduction My last column had introduced what is often deemed in the literature as the most fundamental observation related to oil refineries in energy economics. Introduction Oil and natural gas industry analysts and energy economists repeatedly highlight the basic observation that no two oil refineries are the same; stressing that they are unique in essential ways. 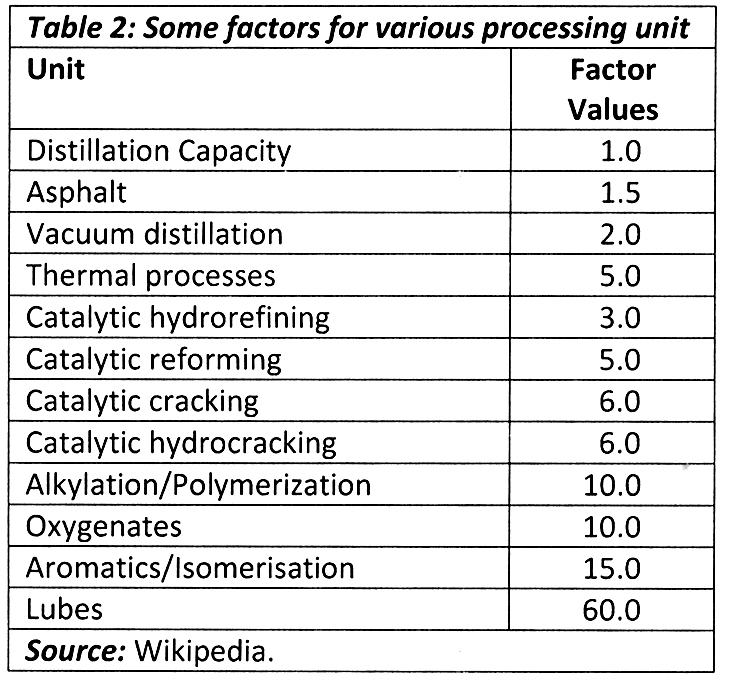 As repeatedly urged, readers need to be familiar with the basic structure/features of global oil refining, if they wish to make informed contributions towards Guyana’s first oil, particularly in view of the fact that a local refinery would likely contribute marginally (0.1 per cent) to global refining capacity. Introduction If one began with the standard industry description of an oil refinery that was earlier introduced, which is: “an industrial plant or complex that manages hydrocarbon molecules extracted from crude oil, natural gas liquids and national gas” (in the case of Guyana, at the Stabroek bloc Liza wells), that complex could produce an assemblage of different petroleum based products that can potentially reach several thousand. Introduction Last Sunday’s column introduced several of what I labelled as nuts and bolts matters related to oil refining, of which I believe an informed Guyanese public needs to be aware. Introduction In concluding last Sunday’s column (May 21), I had indicated that, starting today, I would offer commentary on the topic: establishing a local refinery to process Guyana’s expected production of crude oil, post-2020. Do the risks of stranded assets in the petroleum industry extend to its local content-related industries? Today’s column starts with an offering of a few concluding comments on the topic considered over recent weeks: local content requirements/policies (LCRs) in the petroleum industry, as Guyana prepares for its own industry, scheduled to come on-stream post-2020. 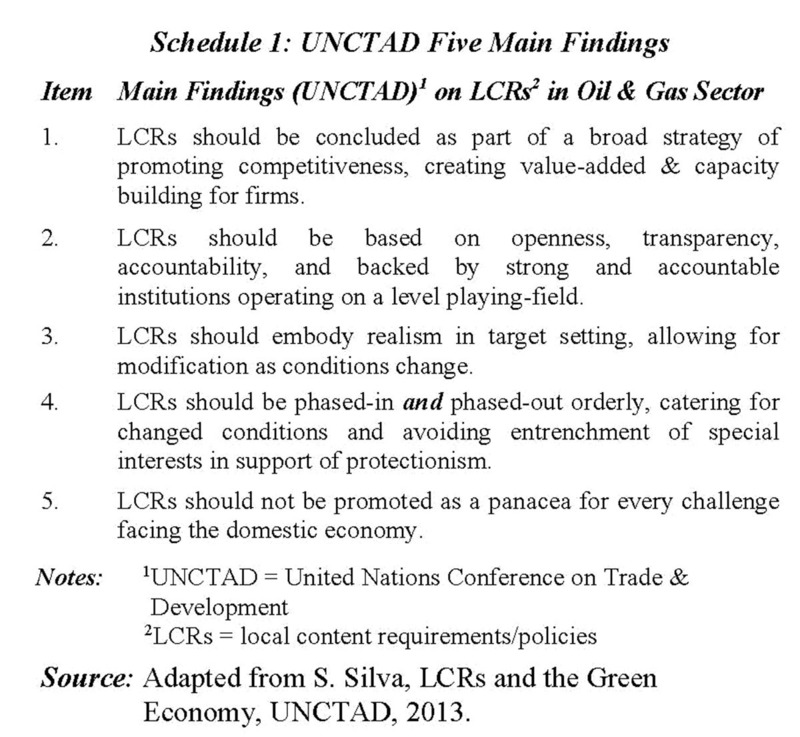 Introduction My two previous columns (April 30 and May 7) were devoted to, respectively, the main findings of the United Nations Conference on Trade and Development (UNCTAD) 2013, and the World Bank’s 2013 evaluation/research of the lessons to be learned from global experiences with local content requirements/policies (LCRs) in the oil and gas sector.